​​​​​​LAREDO - United ISD broke ground for the construction of the Alexander High School ninth-grade campus. The $36 million project was made possible through funds allocated from a 2013 bond program. Located east of Bob Bullock Loop and Del Mar Blvd., the campus is a standalone two-story building with a detached FFA building totaling over ​201,000 sf. 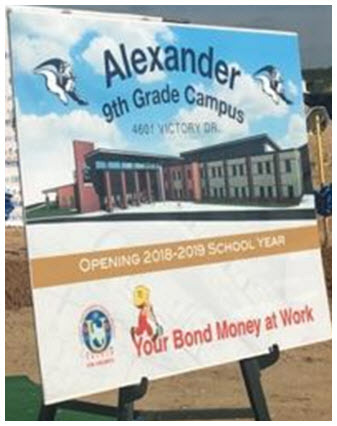 The campus is projected for completion for the 2018–19 school year to support an enrollment of 1,200 students. Security for the campus will start at the perimeter with a guardhouse, followed by a secure foyer, where visitors are cleared before entering the building. Listen to PODCAST 321 for this story​.